recovery of run-down sown pastures. The technical information has been based on presentations given at the seventh and eighth Australian Tropical Pastures Conferences held in 2007 and 2009 respectively. These conferences were organised by the Tropical Grassland Society of Australia. Editors: Ian Partridge et al., Department of Employment, Economic Development and Innovation, 2009. 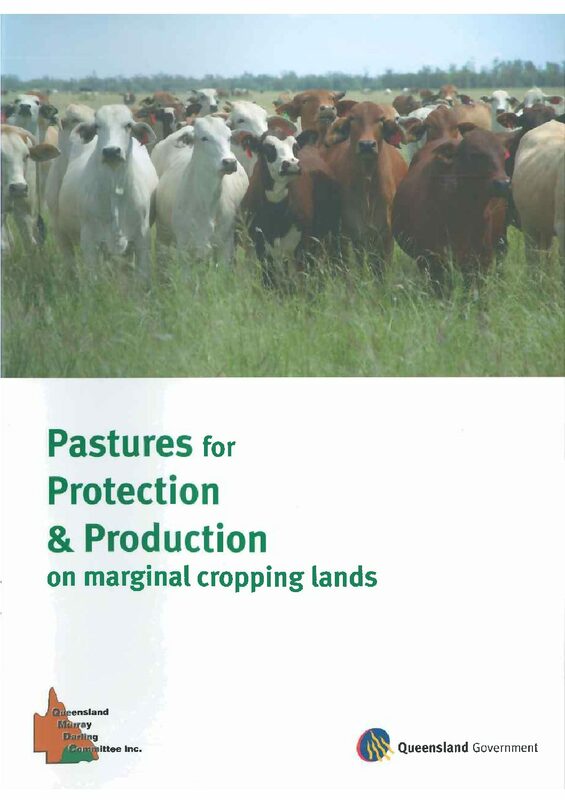 Download a copy of Pastures for protection & production on marginal cropping lands (PDF, 4 MB).